Sally has been teaching for 18 years. 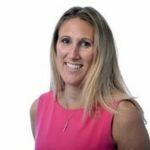 She gained a BEd in Physical Education and Geography in 1999 from Plymouth Marjon University and began her teaching career in Suffolk primarily delivering PE to all key stages including A Level as well as Geography, History and Drama. Sally made the transition into Alternative Provision in 2004 at Parkside, initially teaching Geography and setting up a Key Stage 3 provision within Parkside. Sally became Deputy Head Teacher in 2005 and Head Teacher of Parkside in April 2014. During this time Sally has developed an extensive knowledge and experience working with young people with mental health and medical needs. Since commencing her headship role she has reshaped and developed a Project Based Learning style curriculum to increase engagement and pupil successes. Sally is a dedicated advocate of the young people she works with and works tirelessly to maximise their opportunities and potential. Kim Charlesworth is the Head of School and Science Lead at the Lindbergh Campus. She gained her BSc (Hons) in Social Biology and Environmental Studies in 1993 and then pursued a career within the pharmaceuticals industry. In 1996, Kim completed a PGCE and achieved QTS as a Teacher of Science with Environmental Science at Bath University. 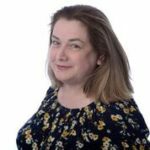 Kim has over 20 years of educational experience, teaching mainly Secondary Science including Biology and Environmental Science to A Level but also Mathematics and English to GCSE Level. In 2004 Kim chose to follow her passion for enabling pupils with additional needs to reach their full potential and so started work within alternative education. In 2012 she became the KS4 Lead Teacher for EOTAS (Education Other Than At School) in 2012 and Lead Teacher for both KS3 and KS4 at Lindbergh Campus in 2014. Kim has extensive experience of teaching young people with a wide range of learning, mental health or medical needs; many of whom became marginalised from educational settings due to behavioural, emotional and social difficulties.